BASIS Independent in North San Jose is off to a good start with the largest first-year enrollment recorded by any private school group in the country. BASIS Independent is a private school with a strong emphasis on STEM skills (Science, Technology, Engineering, and Math) and I'm sure will be a huge asset to the San Jose community. Check out the press release below. September 16, 2014 (Silicon Valley, CA) – In an unprecedented move, BASIS Independent Schools announces the opening of not one but two new private schools in the most globally advanced and competitive educational markets in America. BASIS Independent Silicon Valley and BASIS Independent Brooklyn begin classes with the largest first-year enrollment recorded by any private school group in the country. The two new schools are based on the proven education model of the BASIS charter school network led by Michael and Olga Block, deemed by scholars, national rankings and international tests as amongst the best in the world. BASIS.ed schools offer a STEM-focused liberal arts and sciences curriculum benchmarked against the highest international standards and employing the most talented teachers from around the world. On the west coast, BASIS Independent Silicon Valley, is a stunning redesign of a former IBM office building located in San Jose, the capital of Silicon Valley. 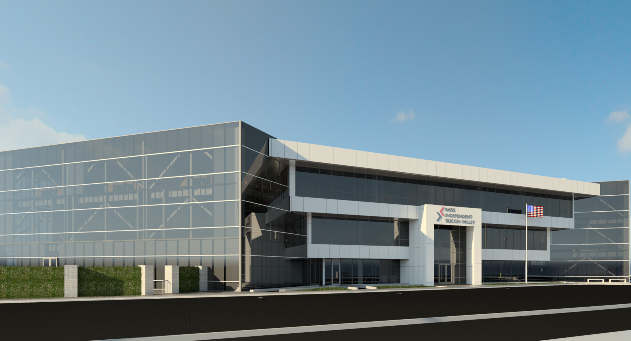 The state-of-the-art glass-front, three-story 80,604 square foot building will be completed with the additions of a 7,501 square foot gymnasium and 6,000 square foot cafeteria. The school opened to grades 5-11 with an enrollment of nearly 600 students, a record number for a first-year private school. The 12th grade will be added next year. The school can accommodate 800 students. The east coast school, BASIS Independent Brooklyn, is completing construction of its brand new modular-constructed 90,000 square foot architectural masterpiece in Red Hook. Built 12 feet above ground level, the new high tech, six-story school will feature abundant indoor and outdoor learning spaces with views of lower Manhattan, the Statue of Liberty and New York Bay. The school opened to grades k-8 with high school grades to be added over the coming years. Various transportation options are available. The school will accommodate 1000 students. The new schools are founded on the educational leadership of Michael and Olga Block, known for their relentless pursuit of academic excellence and as the founders of BASIS.ed, the management company for the highly successful charter school network of sixteen schools and counting. The new Independent Schools will be the first of a separate network of private schools to open across the country. Michael Block is a Stanford-educated economist and former university professor and Olga is a former vice dean of Charles University in Prague. Their education model marries exemplary world-class standards with the American spirit of creativity. BASIS Independent Schools CEO, Dr. Q Mark Reford, is an international school leader and educator. Born in Northern Ireland, Reford was educated at Oxford University and later taught there in their Stanford University program. He moved to America in 1993 and has since been a teacher, administrator and Head of School in some of the most outstanding independent schools in the country. BASIS Schools were founded in 1998 by Michael and Olga Block. In 2009, they created BASIS.ed to manage the growing network of BASIS charter schools, with 2014 marking the introduction of their first two private schools. The Washington Post, U.S. News & World Report, and Newsweek consistently rank BASIS.ed schools among the best high schools in America. For more information, visithttp://www.basised.com/ or http://basisindependent.com/.